Recent graduate? Or graduating this spring? 6 reasons why you should think about consolidating. If you’re like me (and millions of other student loan borrowers), you got through school with a wide variety of different federal student loans. Stafford Loans. Perkins Loans. Subsidized Loans. Unsubsidized Loans. Grad PLUS loans. Maybe others. Managing the repayment of each of these loans can really turn into a full-time job, and if you accidentally start missing payments, you’re in trouble. You may be eligible to combine all of those loans into a single federal consolidation loan. Here are some of the benefits. For each student who defaults on a loan, at least two more fall behind in payments on their student debt, a new study has found. The Institute for Higher Education Policy, a nonprofit organization, said in a report that two out of five student loan borrowers were delinquent at some point in the first five years after they started repaying their loans. 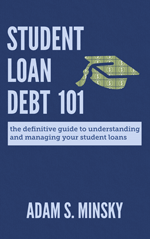 In general, most student loans will not be dischargeable in bankruptcy. There are some limited (and important) exceptions to this general rule which I will not be discussing in this posting, but for many people who have student loans, bankruptcy may not be an option. Thank you for coming to my website. 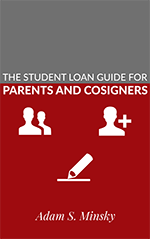 This page will be updated regularly with current developments regarding student loans and news about the firm. Please check back soon! Adam S. Minsky, Esq. 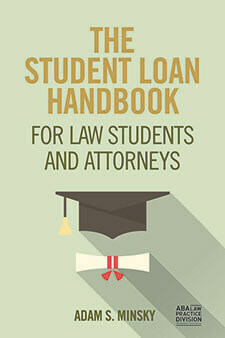 is a Boston lawyer who concentrates his practice in student loan law. To learn more, please visit www.minsky-law.com. These posts are for informational purposes only and are not intended to be taken as legal advice.